Seller: Pixel Target Sp. z o.o. 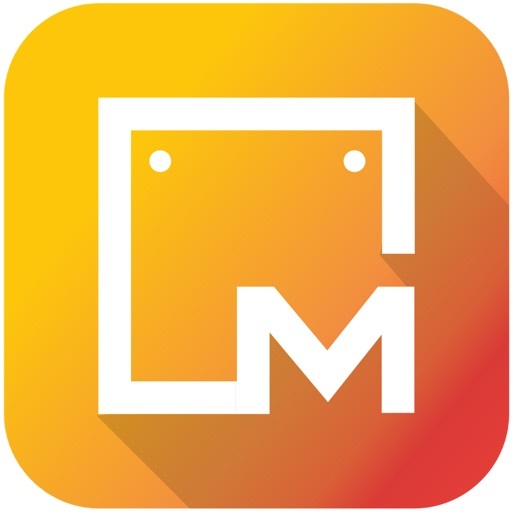 Download MemoStrap free via AppsHawk. 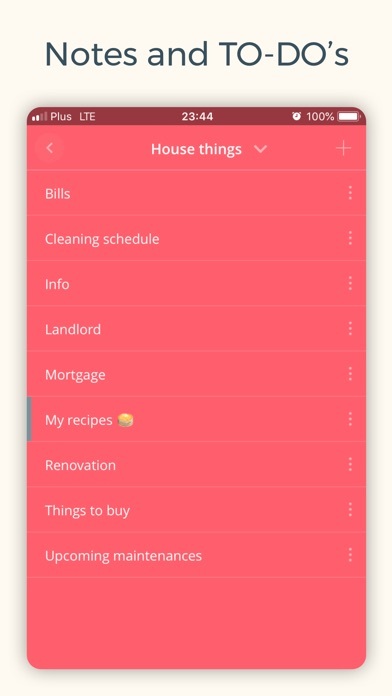 An innovative and UI masterpieced productivity app for keeping all sort of notes designed in a form of database where it's you who is responsible for its architecture. 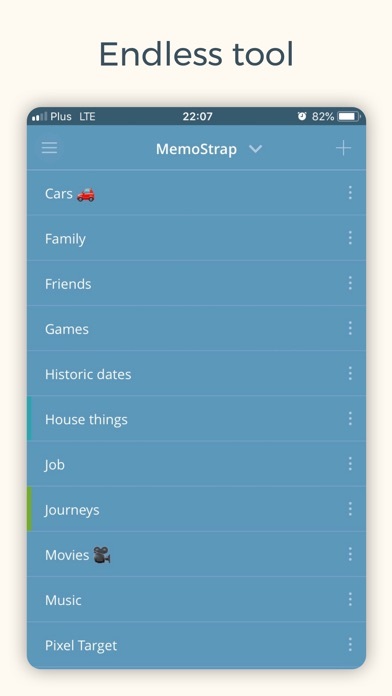 Letâ€™s AGREE that idea of MemoStrap is nothing more than a tool for keeping all notes you want to have in one place, finally in one app. Letâ€™s however do NOT AGREE that this app is not like any other out there! 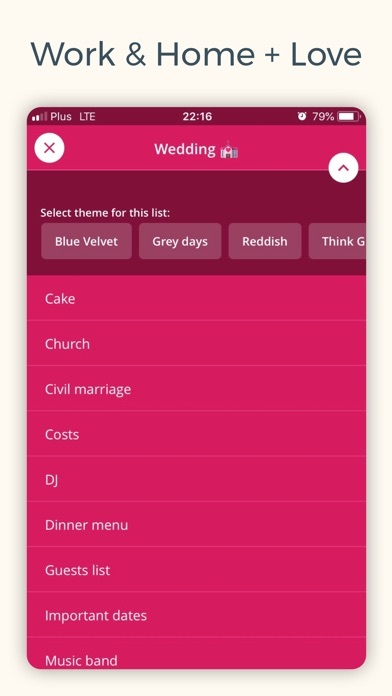 â— Intuitive, multi-colours lists designed with heart and passion is what makes a difference most of all. â— Idea of adding smooth interface for all people to allow them creating structurally unique databases? That makes a difference too! 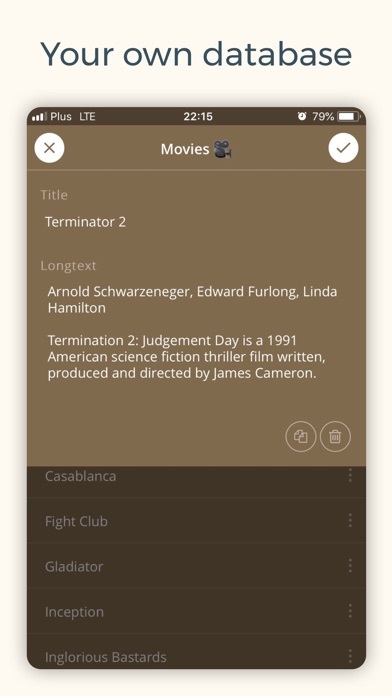 â— All of that combined with option for endless lists where you can dig within memos as deep as you want, MemoStrap is in the result of what good notes app should look like. Needs to be said, that quite important is how and what will you keep track of? Your personal database will be constantly growing with time so you donâ€™t need to wonder straight away how to fill it. â— top charts of all kind of things - wines / cigars ? â— and even why not New Year's resolutions?